The startling revolutions of recent years have had as great an impact on Northeast Asia as on Eastern Europe. Gorbachev's cautious withdrawal of support for North Korea and his establishment of ties with South Korea have created a need for a new research agenda exploring how communism and capitalism in Asia can be successfully restructured or redirected in a new world order. 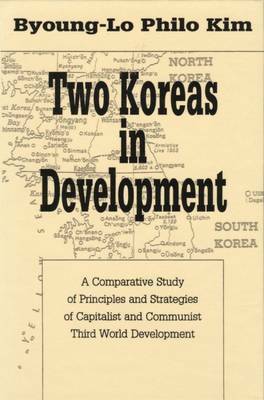 Focused on systemic issues, this book is the first study to attempt a comprehensive analysis of social and economic development in modem Korea as a whole.As a homogeneous nation artificially divided by the competing ideologies of the Cold War, Korea provides a unique laboratory for comparing divergent development processes undertaken by conflicting social systems. Current theories of Third World development have advocated either capitalist models of modernization or have called for the establishment of self-reliant socialist economies cut off from the world capitalist system.While capitalist South Korea has consistently outperformed Communist North Korea since the mid-1970s, development has not yet brought a fully evolved West-em-style democracy in its wake. "Self-reliant" North Korea achieved successful growth during its first fifteen years, but has since been faced with numerous structural limitations on sustained development, including severe restrictions on political freedom and civil liberties.In the author's view, the experience of the two Koreas suggests that the solution to underdevelopment must be based on the realization that exclusionary theories need modification in the light of special historical and sociological circumstances peculiar to individual nations. This volume offers a valuable interpretation of modem Korean history and constitutes an important contribution to the comparative study of capitalism and communism in practice. It will be of particular interest to specialists in international relations and comparative political systems. "[T]he volume represents one of the most comprehensive surveys of historical development of both Koreas in the post liberation period and is a useful, informative guide to contemporary Korea. Recommended for general readers and undergraduates beginning a study of Korea."